All we need now are other manufacturers to start producing more USB3 devices. Thanks for the updated list however, there seems to be very few actual items available at the moment. The odd USB drive, Docking Port, External Hard-drive but try getting hold of one, especially in the UK. 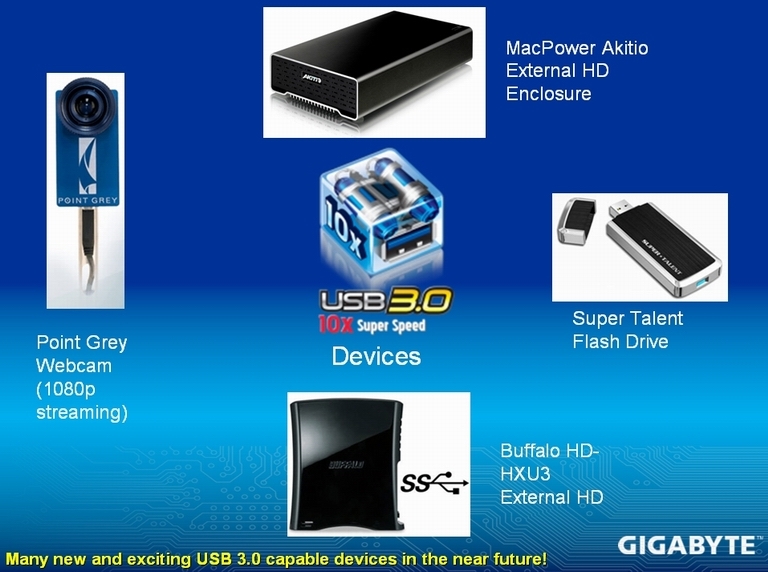 I was checking the other day and was surprised at how few USB3 devices are available yet. It always takes a while to be accepted but I was shocked that there weren't more manufacturers wanting to get in first.